The Boston fern is a popular houseplant that is not fussy about its environment and requires minimal care. However, because it is a vigorous grower, it needs re-potting every two to three years. There are a couple of things to keep in mind when it is time to re-pot your fern: Use a good commercial potting soil high in humus matter, such as those formulated for African violets, and choose a pot that is the same size as, or 2 inches larger in diameter than, the original pot. Remove the Boston fern from its pot. Gently remove as much soil from around the roots as possible. With the knife, carefully make three or four slices into the root mass. 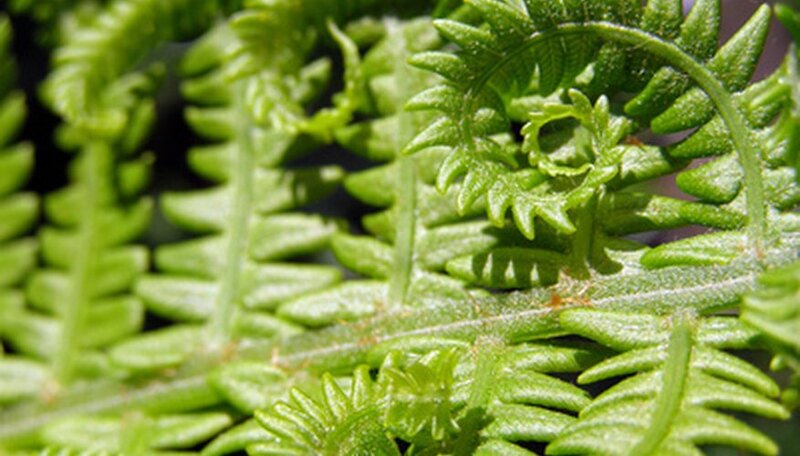 Work from the base of the fern downward, making each cut approximately one-half inch deep. Fill the bottom of the new pot with enough soil to bring the Boston fern up to the level it was at originally. The new soil level should be about 1 inch below the rim of the pot. Place the Boston fern in the new pot. Add soil around the sides, tamping down gently as you go to eliminate air pockets around the plant’s roots. Smooth out the top level of soil and tamp down gently. Clip off all withered or brown fronds from the newly potted fern. These fronds are dead and will not rejuvenate. Water well, allowing about an hour for the water to sink in. If the soil level has sunk past an inch below the rim of the pot, add more soil and water again. Place your re-potted Boston fern where it will receive bright, filtered light. Protect the plant from strong sunlight after re-potting. If your Boston fern is big to begin with and you do not want it to get any larger, divide the plant into two sections first. Then continue, following re-potting instructions. Take care while slicing the roots with the knife. Slice downward, away from your hands.